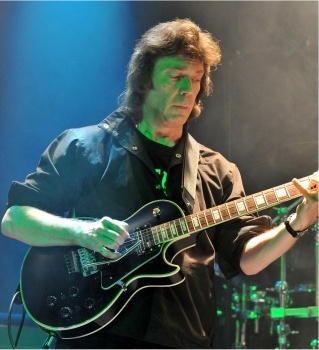 After the glorious performance of Steve Hackett & band on the Loreley festival in Germany and a forthcoming album Out Of The Tunnels Mouth, not released at the time of the show, every prog fan must have been waiting for Hackett to perform on Dutch soil again. 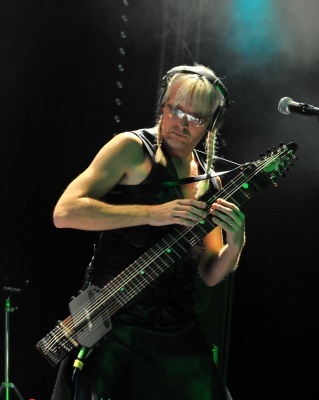 Arie Verstegen (De Boerderij) managed to book Steve for the 28th of October but the concert sold out so fast, that he persuaded Steve to play in Zoetermeer for the following night too! A big success for De Boerderij. As said, the venue was packed and the atmosphere was great and everyone eagerly awaited the former guitarist of one of the undisputed legends in progressive rock: Genesis. After the instrumental opening, Steve got rid of his glasses but most of the time he kept his eyes shut, in trance and concentrating on his music. Right after one oldie the first new song was presented: Fire On The Moon. Immediately it became clear the audience appreciated this new song but as could be expected, the crowd went wild with songs like Every Day and Spectral Mornings. What a great band Steve had with him! 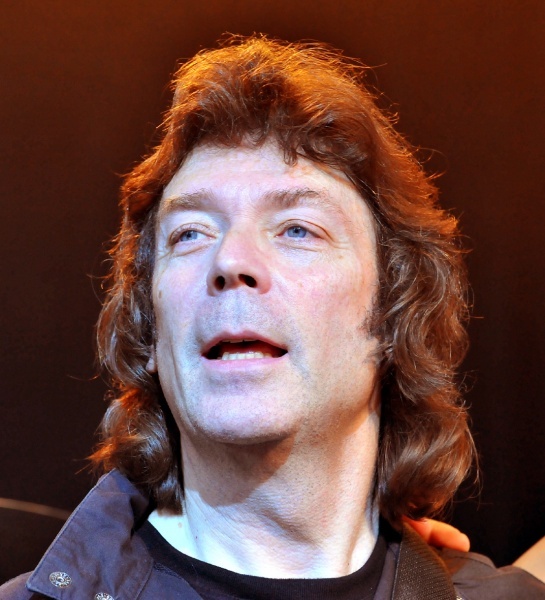 O'Toole doing the lead vocals on some of the songs, King playing concentrated, keeping a 'low profile' in contrast of former Kajagoogoo bass & stick player Nick Beggs, nicknamed "Heidi" by the audience because of his leather robe and hair braids. His performance was outstanding and very extrovert, a real eyecatcher. A more modest role for flutist and sax player Rob Townsend, while Steve himself did not feel like showcasing as a lead guitar player at all. A varied collection of songs followed and in the second half of the show there was a nice acoustic guitar solo by Steve, consisting of some classical pieces as well as the famous Horizons (Supper's Ready). Absolute highlight must have been the rendition of Genesis' Firth Of Fifth. Many people in the venue were having a lot of moving emotions hearing that song. Of course O'Toole is not Collins, Gabriel or Hicks, but based on the fact (or is it assumption?) there will not be a Genesis reunion, in my opinion this line up comes close to the original performances by that legendary band. Steve must have been convinced his new album would appeal to the audience, because the band played no less than four songs from Out Of The Tunnels Mouth and each song got a great response. When the encores came, the crowd would want Steve to continue playing for ever but with this long set of about two and a half hours and an awesome performance of Los Endos, it was time to go home and I think every single one in the venue was happy and satisfied with the show, the band and the setlist. There were some rumors about the vocal harmonies having been play backed: I can not be sure but it seems so unworthy for a artist like Hackett; I can not imagine this could be true however I must admit all vocal harmonies were extremely good and all in tune. Anyway, this was a spectacular concert with a superb sound quality and fortunately Hackett will play De Boerderij again in May this year!